Mr. Robert (Rob) Collier is the president and CEO of the Council of Michigan Foundations, the largest and one of the oldest regional associations of grantmakers in the nation and a partner in the Our State of Generosity project. Mr. Collier’s perspectives on Michigan’s history are informed by his career as a senior program officer at the Mott Foundation (private family philanthropy), Gannett Foundation in Rochester, New York (corporate philanthropy), Rotary Charities of Traverse City (community philanthropy), and as founder and CEO of the Grand Traverse Regional Community Foundation. He was a board member of CMF before assuming the staff leadership role as the third CEO. Mr. Collier is also actively involved in a variety of partnerships with the other Michigan infrastructure organizations — Michigan Nonprofit Association, Michigan Community Service Commission, and the Dorothy A. Johnson Center for Philanthropy. Mr. Rob Collier discusses three organizations fundamental to Michigan's Public Policy Infrastructure. Mr. 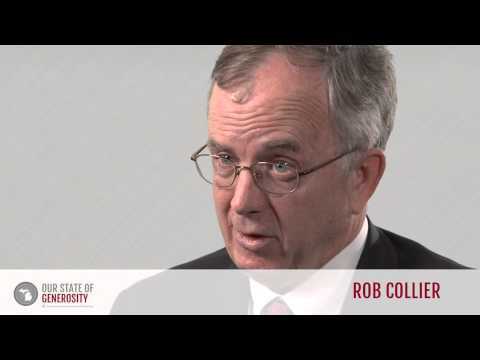 Rob Collier discusses the public policy committee of the Michigan Nonprofit Alliance (MNA). Mr. Rob Collier talks about the importance of public-private partnerships in the philanthropic sector. Mr. Rob Collier tells a story about meeting a successful youth grantmaking alumna at a chocolate fair. Mr. Rob Collier provides advice for how nonprofit infrastructure can effectively work with government on public policy. Mr. 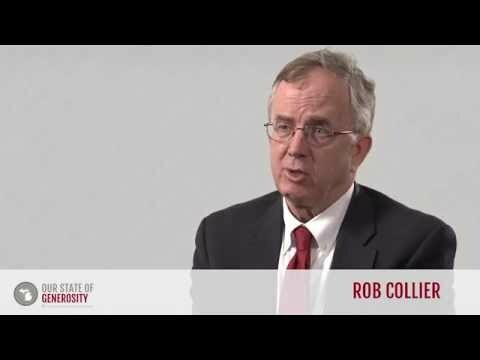 Rob Collier discusses the need for patience in the collaboration between nonprofit organizations and government. Mr. 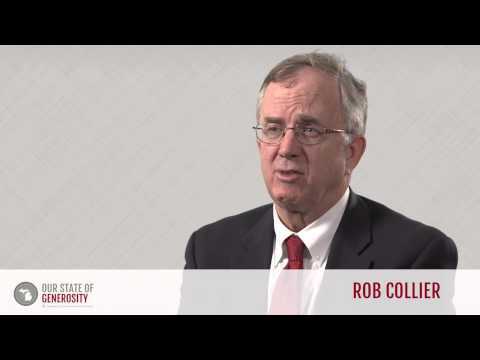 Rob Collier talks about the importance of teaching philanthropy to the next generation. Mr. Rob Collier talks about the role of the Office of Foundation Liaison in promoting Michigan philanthropy. Mr. 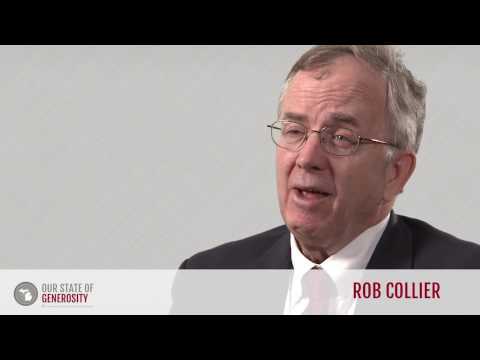 Rob Collier talks about the importance of small foundations in public policy initiatives. Mr. 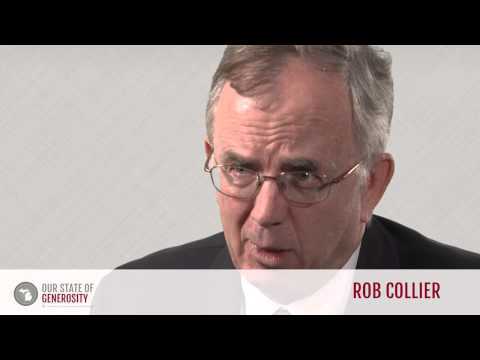 Rob Collier talks about the mission, development, and national growth of RAGS on the Hill. Mr. Rob Collier talks about the importance of patience and repetition in working with new public policy makers. Mr. Rob Collier discusses the balance between local mission and funds and national and international expansion at the Council of Michigan Foundations (CMF). Mr. 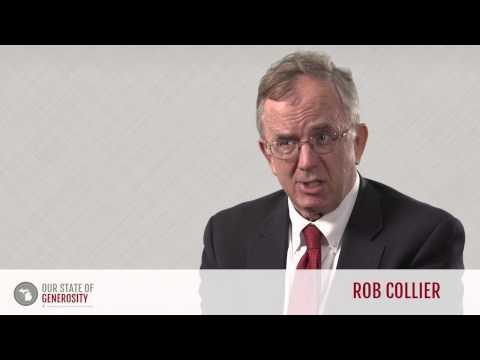 Rob Collier tells a story about a youth grantmaker turned philanthropic chemical engineer. Mr. Rob Collier talks about the mission and development of the Great Lakes Community Foundation Environmental Collaborative. Mr. 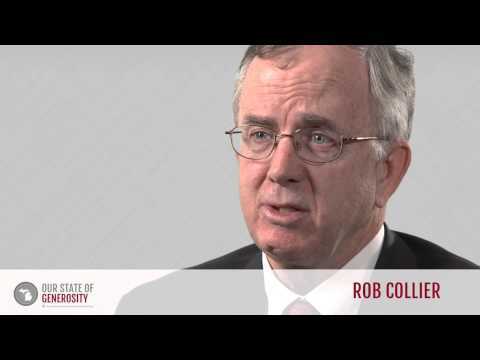 Rob Collier discusses how hiring a lobbyist aided in CMF's fight for public policy. Mr. Rob Collier tells a story about a young man whose life was turned in the right direction by youth grantmaking. Mr. Rob Collier talks about the mission and development of the Michigan Nonprofit Caucus. Mr. 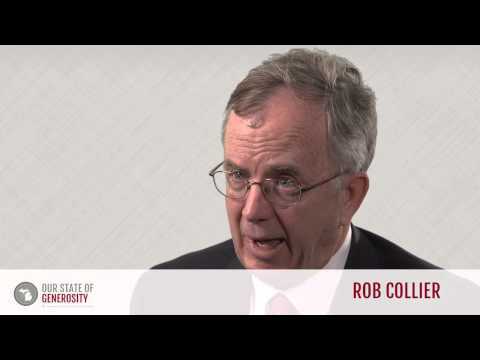 Rob Collier discusses the development of national standards for community foundations. Mr. 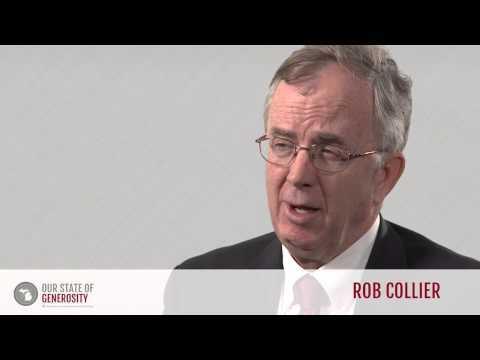 Rob Collier discuss the national growth of Michigan's youth philanthropy effort. Mr. Rob Collier talks about the relationship between Michigan philanthropy and the Office of the Attorney General. In 1973, Mr. 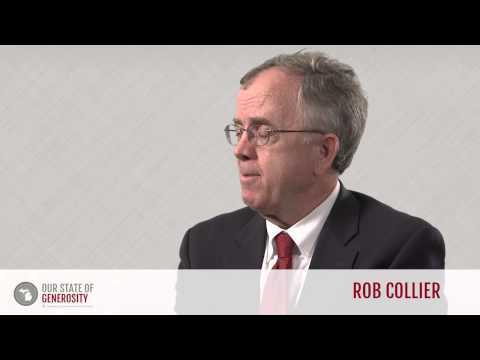 Rob Collier earned a Bachelor of Arts degree in sociology and political science from Hobart College, which is located in Geneva, New York. He also took part in the educational programs of Leadership Flint and Outward Bound USA, graduating from them in 1976 and 1981 respectively. Mr. Collier received a Master of Arts degree in public administration in 1994 from Central Michigan University. Growing up in New England, Mr. Collier initially came to Michigan as an AmeriCorps VISTA volunteer. The VISTA program is a national service program designed to combat both urban and rural poverty. VISTA was formed in 1964, and became a part of AmeriCorps under the Michigan Community Service Commission in 1993 (1). As a VISTA volunteer, Mr. Collier saw firsthand the hardships that the impoverished children in Flint, Michigan faced, and penned a letter to Mr. William White, CEO of the Charles Stewart Mott Foundation, with several suggestions for the foundation’s giving. Mr. White then invited him to discuss the situation in person, which in turn lead to Mr. Collier being hired as a program associate of the Charles Stewart Mott Foundation in 1977 (2). As a program officer, Mr. Collier managed grants nationwide that focused on economic development, volunteerism, and community-building before leaving this position in 1983. Following his time at the Mott Foundation, he served as the city administrator for the City of Flint, where he led the administrative team of Mayor James Sharp in managing citywide practices such as strategic planning, organizational process improvement, and intergovernmental relations. In 1988 and 1989, Mr. Collier worked for the Gannett Foundation in Rochester, New York. During this period, he assisted the vice president in the management of annual grantmaking through Gannett properties in 97 different communities across the country. Mr. Collier returned to Michigan in 1989 to serve as the first executive director of the Rotary Charities of Traverse City. While there, he oversaw the creation of the Grand Traverse Regional Land Conservancy in 1991 and the Grand Traverse Regional Community Foundation in 1992. Mr. Collier then concurrently served as the founding executive director for the Grand Traverse Regional Community Foundation, until 1995. Mr. Collier joined the Council of Michigan Foundations’ board in 1994 while serving as executive director of the Rotary Charities of Traverse City. 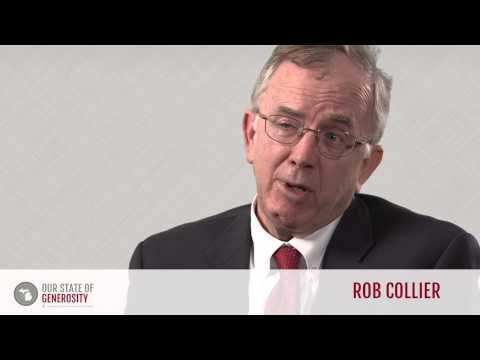 Mr. Collier transitioned from the Rotary Charities of Traverse City to serving as vice president and chief operating officer of the Council of Michigan Foundations (CMF) in 1995. In addition to his regular duties, which included supervising staff, developing new projects, and overseeing daily operations, Mr. Collier was able to guide the design and implementation of the Great Lakes Community Foundation Environmental Collaborative (Great Lakes Collaborative). The Great Lakes Collaborative sought to educate participating community foundations on environmental grantmaking and to assist them in expanding (or in some cases forming) environmentally focused endowment funds (4). Initially the collaborative was supported in part by grants from the Charles Stewart Mott Foundation and the Great Lakes Protection Fund, with 21 shoreline community foundations involved. The Great Lakes Collaborative has since grown to include over 70 foundations. In 2000, Mr. Collier succeeded Ms. Dorothy Johnson as president and CEO of CMF, and currently remains in that position. As president and CEO, he has helped to reaffirm CMF’s public policy focus, and is a strong supporter of treating government as a partner of the nonprofit sector. Mr. Collier has worked to formalize this partnership through the creation and support of both the Michigan Nonprofit Council for Charitable Trusts to the Office of the Attorney General and the Governor’s Office of Foundation Liaison, alongside programs such as Foundations on the Hill. Additionally, Mr. Collier has been instrumental in overseeing the expansion and scaling-up of Michigan programs, including overseeing the growth of the Great Lakes Collaborative to include Canadian community foundations as well as those from other states. He has also supported the development of the Michigan Community Foundations’ Ventures, a supporting organization of CMF that seeks to strengthen community foundations in Michigan, Illinois, Ohio, and Indiana, in partnership with regional associations of grantmakers serving those states. 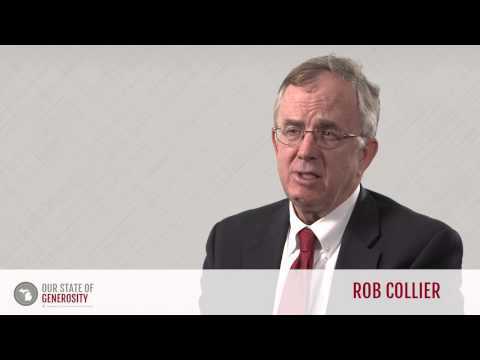 Mr. Collier is an outspoken proponent of infrastructure organizations within the nonprofit sector. When discussing CMF and the Michigan Nonprofit Association (MNA) in his interview for the Our State of Generosity project he stated: “The idea was we created a safe place for members to come together, learn from each other, share stories, at times disagree and opt out of a partnership, which is fine, but creating that safe place, I think was very, very important”. Mr. Collier has shown his dedication to that idea through his extensive service to Michigan’s infrastructure organizations. He has served as a trustee of MNA since 1998, and has been a member of the Michigan Community Service Commission since 2000. 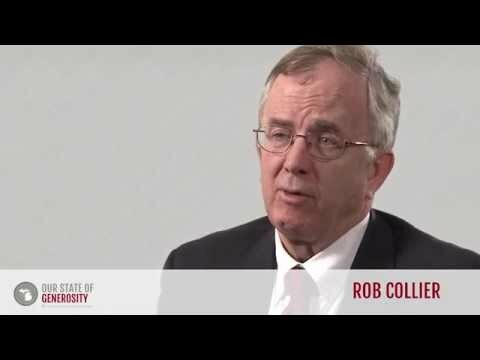 Similarly, Mr. Collier has been very involved with national infrastructure organizations. He currently serves on the public policy committee for both the Forum of Regional Associations of Grantmakers and the Council on Foundations, and has previously held other volunteer positions at both organizations. 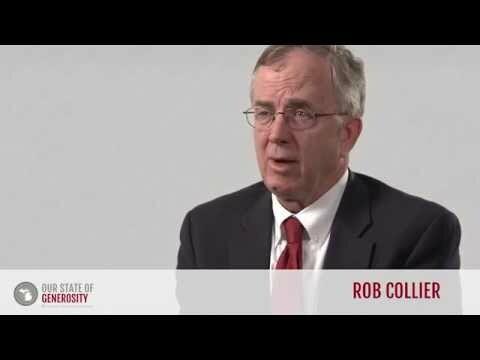 Outside of these infrastructure organizations, Mr. Collier has been involved in a wide range of boards throughout the sector. Earlier in his career, Mr. Collier served on the nonprofit board of the nonprofit panel of Independent Sector, and he also dedicated time and effort to those suffering from HIV/AIDS, acting as a trustee of the Michigan AIDS Fund, a member of the steering committee for Funders Concerned About AIDS (based in New York), and he continues to serve as a trustee for the Michigan AIDS Coalition. 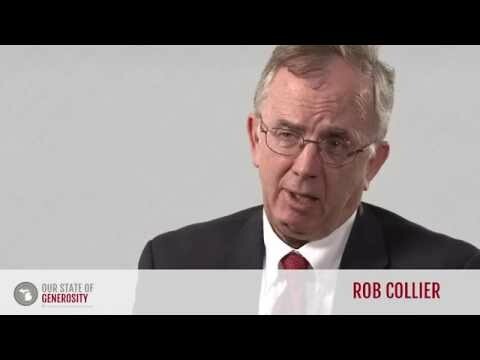 Mr. Collier has served as a member of the board of directors of the Michigan Association of United Ways, and was appointed by the governor to the executive committee of the Michigan Economic Development Corporation in 2011. 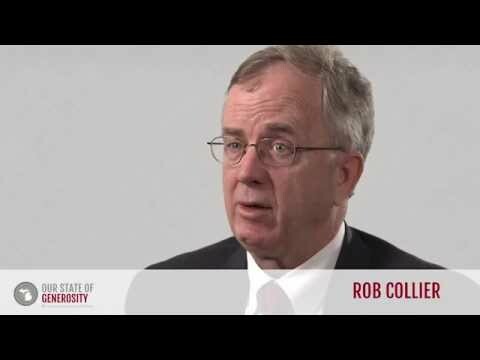 Mr. Collier was interviewed regarding his insights and experiences in working with Michigan’s philanthropic community and the Our State of Generosity (OSoG) partners. The following are selected quotations from her interview specifically related to the five organizing themes of the OSoG project.